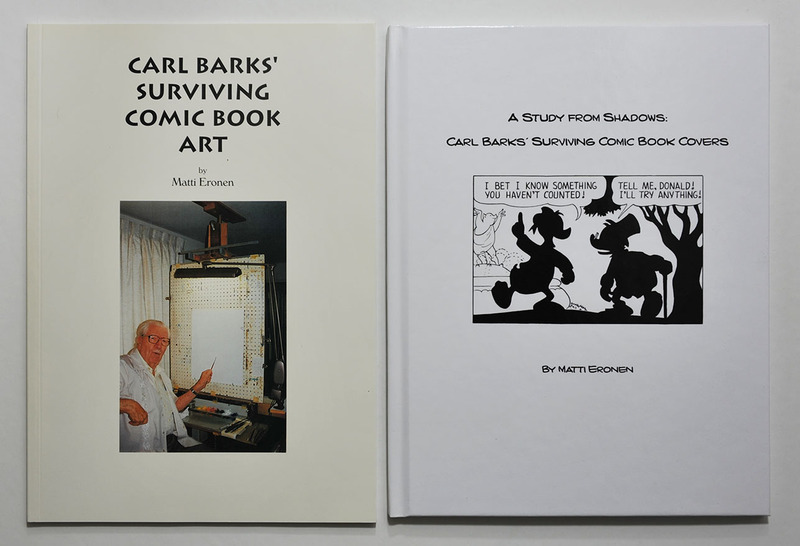 Earlier this year Matti Eronen published a new book about Carl Barks' surviving comic book art. It's the second book about this topic he has (self)published, and at the time I'm writing this both are available for sale on eBay directly from the author. The new book is also available on Amazon and Adlibris, or you can find contact information on www.illusi0n.com and I'm sure other arrangements can be made. The first book was published back in 1994 just in time for Barks' European Tour. The main part of the book is a listing of the known pages of surviving comic book art and is the result of years of study in auction catalogs, magazines and with the help of other Barks' fans around the world. From the roughly 6700 pages of comic book production this books is listing about 200 pages of surviving artwork. Not a huge amount of art has surfaced after this book was written, so it's still relevant for anyone interested in the topic. 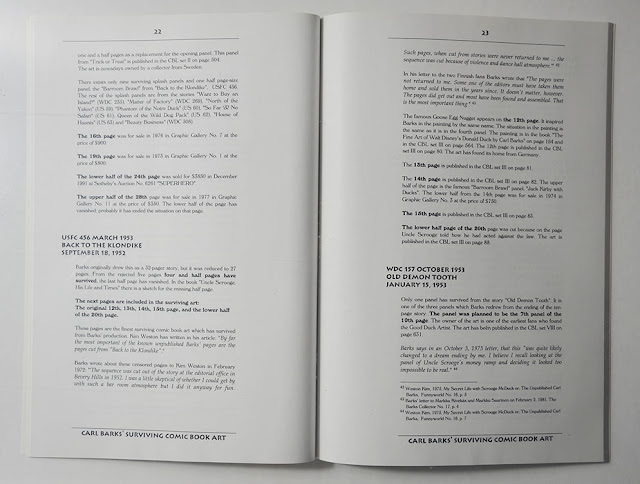 The book also has an index of all of Barks' comic book production and a listing of the paintings, but those parts are of less interest as they are better covered elsewhere. The new book is just focusing on the surviving art of Barks' covers, including 11 newly discovered covers not mentioned in the previous book. 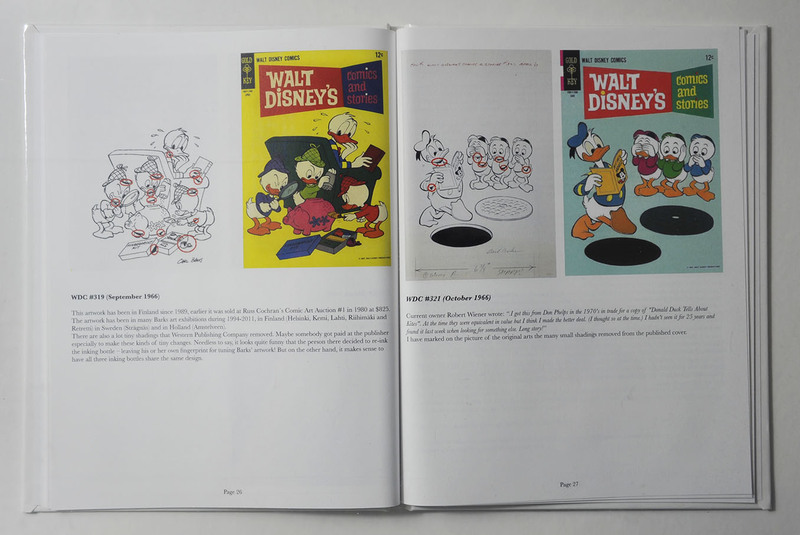 Unlike the 1994 book that just had text, this book is illustrated with both the original artwork and the original published covers. The most interesting part for me in this book was the analysis of how the editors had removed Barks' inked shadows in a lot of the covers. I have seen examples of this before, but had no idea it was this thoroughly done! 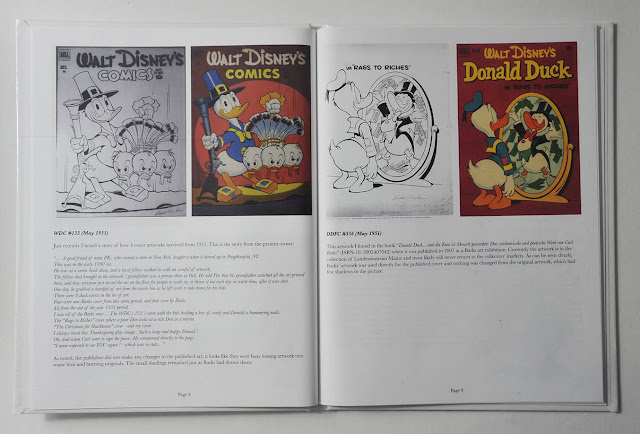 The back of the book also has an interesting article more general about the covers made by Carl Barks and for his stories. On the shadow thing: uh. Weird. …Why did they go to such lengths to do that?